Your skincare journey starts here! At the Bournemouth Laser & Skincare Clinic we have just what you need to start your journey towards healthier skin. With over 20 years of experience in beauty therapy and nursing we can help you find the best skincare regime for your skin type, whether you are looking for just a few simple products to use or as preparation for one of our clinic treatments. We offer free consultations where we can assess your skin and help combat congestion, acne, dehydration, fine lines and protection against free radical damage. Dr Des Fernandes, acknowledged by Insignia as one of the top ten Aesthetic, Plastic and Reconstructive Surgeons in the world, was the first medical professional to introduce vitamin A in effective doses in his first cosmetic skin care range . This range established Environ® as a leader in skin care, a position for which Environ is still renowned. 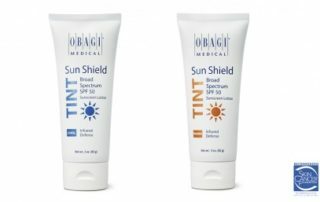 Obagi Medical products work by changing the way the skin functions at a cellular level, delivering unparalleled results. The Obagi System is comprised of a range of topical treatments developed to address a variety of skin concerns. 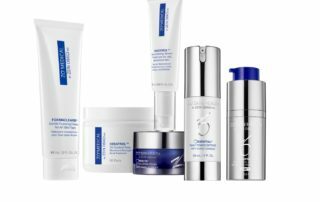 A comprehensive array of products maintain the results of treatments and support daily skin health and protection from the environment. Everyday skincare designed to take care of your skin. Whatever life throws at you this suite of products will help your skin stay clear, fresh and bright by slowing down the effects of ageing and preventing photo damage. A professional range of acid-antioxidant formulations that exfoliate, balance and nourish skin while eliminating harmful free-radicals. Medica Forte’s ethos is perpetual cell renewal, nourishment and optimum delivery of vitamins and anti-oxidants. The Perfect Skincare ingredients work collaboratively to penetrate and protect from within against the barrage of environmental and UV stresses. Pro skincare ingredients like Glycolic and Azaleic acid, Retinol, Glutathione and Vitamin C, tackle common concerns like congested pores, dark spots, inflammation and uneven texture. Proven, clinically-tested award-winning beauty from within supplements created with the science of nature. 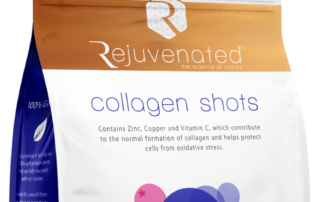 Indulge your skin with youth-boosting Collagen Shots, a multi-award winning beauty drink with 10,000 mg hydrolysed marine collagen, acai, hyaluronic acid, minerals and vitamin C. Create your own nourishing skin program by adding our hydration products. H3O Hydration a revitalising drink for the day and H3O Night Repair, a capsule to renew and repair while you sleep.